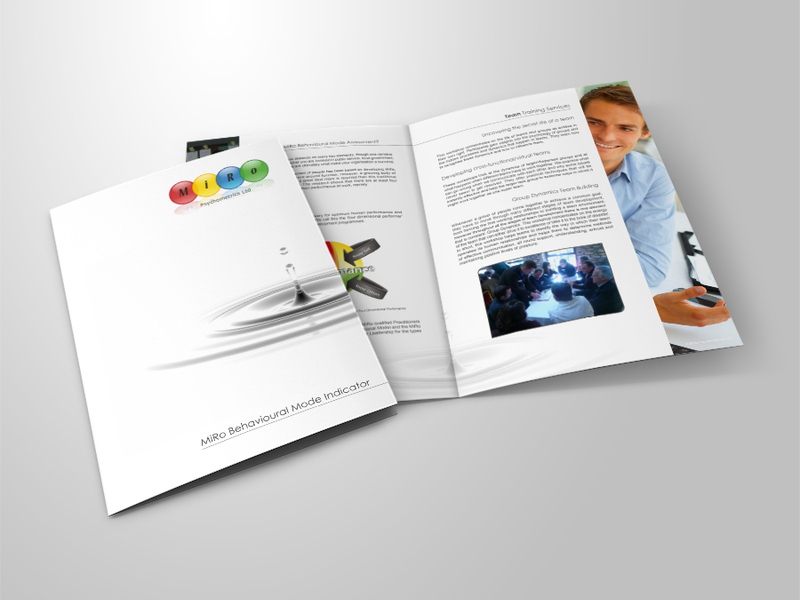 The MiRo print design project brief was to create a brochure in full colour with photography, diagrams and tables. All the graphics in the brochure were bespoke vectors. MiRo is a psychometric assessment tool, designed to help people and teams to perform better and feel happier. To find the right people, create new teams or need to breathe new life into an existing one.